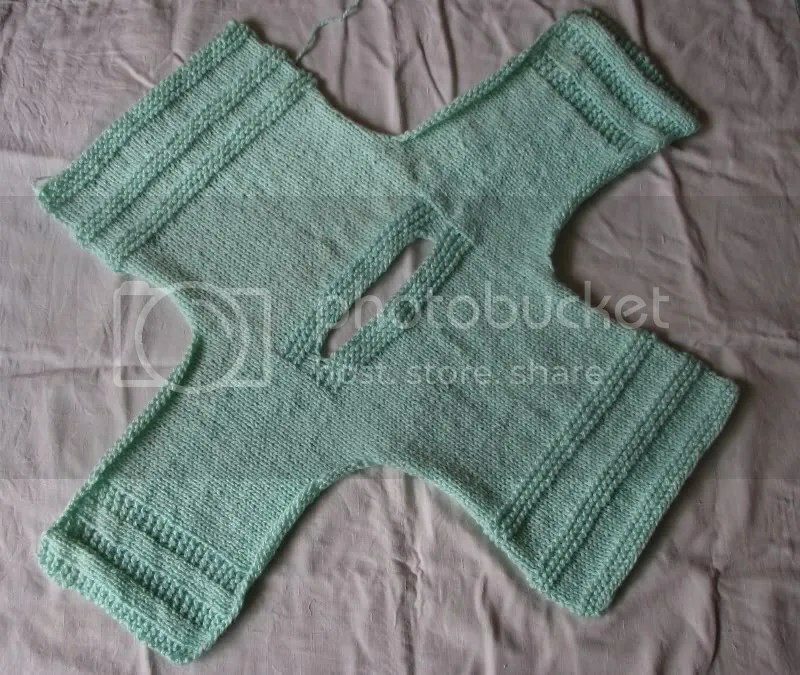 I had been planning to knit a pullover for Ninad since ages. I knit Wonderful Wallaby for him, but that turned out too big. Serves me right for not swatching before starting the project. Now that I had a pullover which wouldn’t fit him for alteast another 6 months, I had to make one which fit him now. Right around the same time, Kelly was looking for test knitters for her latest design, Wyatt, and I jumped at the occasion. Wyatt has a very interesting construct. 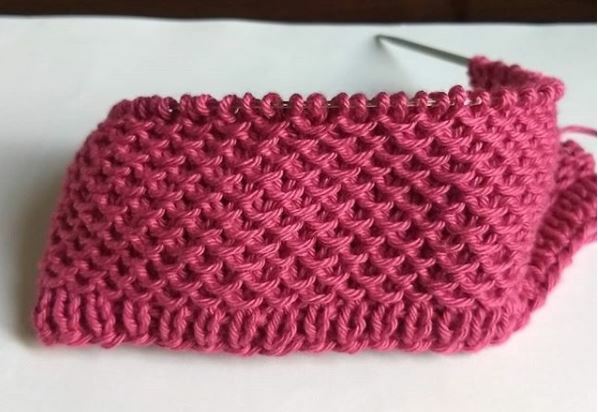 You knit the front bottom-up, and once you are done, you cast on for sleeves on either end. Knit the sleeves for a few inches. Cast off some stitches at the center for neck opening, cast on the same stitches on the next row so that you get a nice, wide, neck opening. 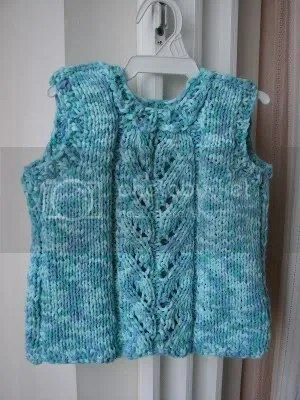 Once you are done with sleeves, cast off sleeve stitches and knit the back and voila, you are done. There are seams, but since this construct technique is so incredibly clever, I don’t mind seaming. I slipped stitched along the edges using a crochet hook which I prefer over the traditional sewing using the tapestry needle. Ravelry Project details are here. Sanhita-di had picked up some yarn for me when Gia visited us. Though I have never met Gia, her lovely yarn was passed on to me. The yarn is soft and squishy, in a lovely pastel green shade. Lucky me, I got the exact gauge with 4mm needles on the first attempt itself. 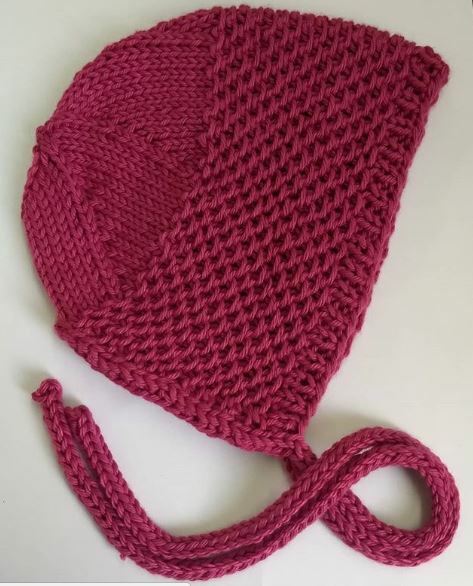 I took 4-5 days to knit this but that’s only because I don’t knit for more than half an hour a day. With a very demanding toddler, I am lucky I get atleast this much knitting time! Kelly gave me the final version of the pattern, which is usual in test knitting deals. 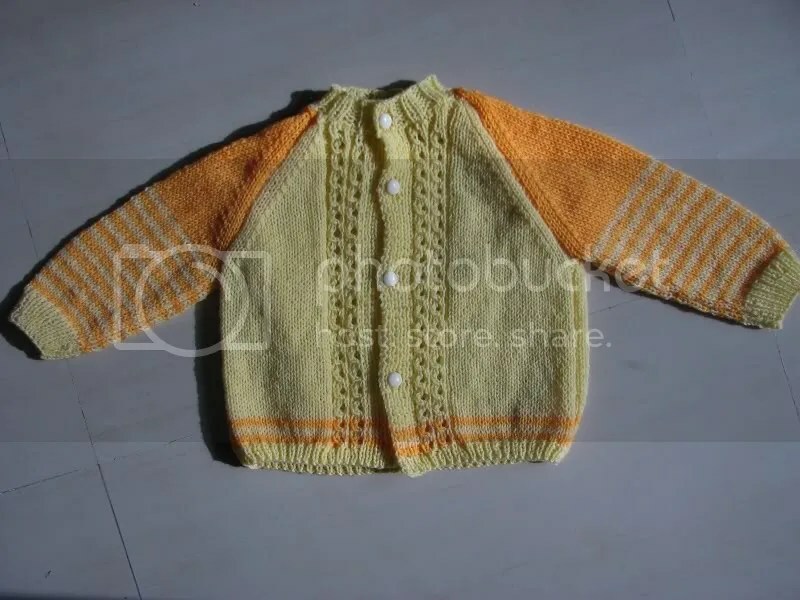 But, Kelly went a step ahead and gave me her popular cardigan pattern in threes baby cardigan because I was looking for a top-down seamless cardigan for girls. Thanks Kelly. That was very sweet of you. No prizes for guessing what I am knitting next.